If you are on the lookout for bus leasing and rental in South Dakota, National Bus Sales wants to help you. We have been serving clients in the busing industry for the last two decades, and we love working with new people throughout the country. 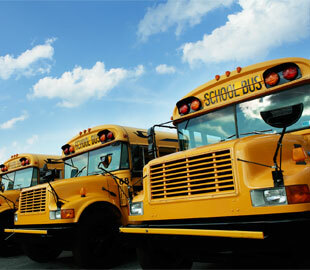 Whether you want a small daycare bus or a large charter bus, we have options available for you. National Bus Sales offers the best bus leasing and rental options in the country, period! If you need A/C, lifts, audio/video connections, reclining seats, or other specialty features, we should have a bus that's perfect for you. Our buses can handle up to 84 passengers at one time, which means that you can bring the whole gang with you on your adventure. When it comes to versatility, you won't find anything better than what we have at NBS. Some of the most popular bus brands we have on our lot are Starcraft, Federal Coach and Glaval. We inspect all of our buses before we send them out to rent, so you can count on the quality of our vehicles. We expand our inventory every year to fulfill the growing demand for buses for rent and for sale. Let us show you what we have to offer. We can provide monthly and yearly bus rental and lease contracts for South Dakota, depending on what your overall needs are. At National Bus Sales, we can also set up bus financing. All you have to do is fill out a quick credit application and one of our customer service representatives will gladly assist you. No matter what your busing needs are, we are here to assist you. 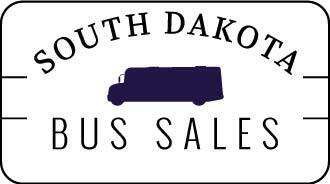 Contact National Bus Sales today @ 800.475.1439 to learn more about our bus leasing and rental in South Dakota.